Life on Nanchang Lu: 25 Days of Shanghai Christmas: Dec 25 Sheng Dan Kuai Le! 圣诞快乐! 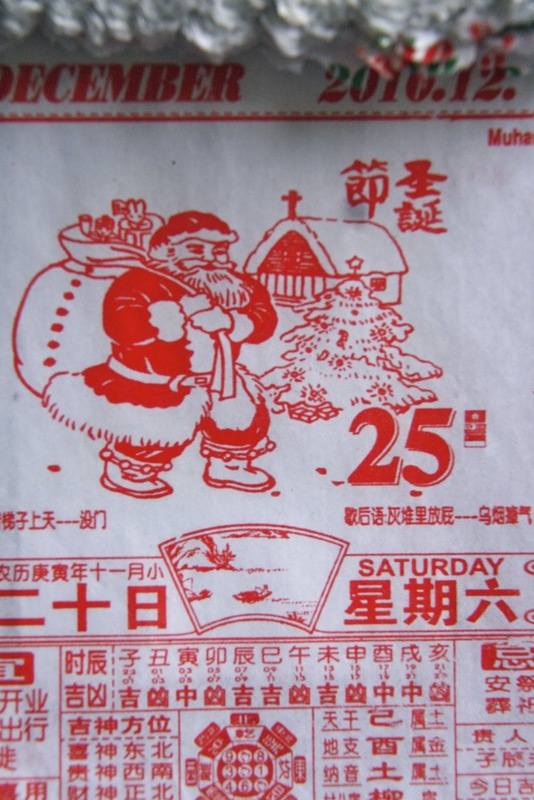 25 Days of Shanghai Christmas: Dec 25 Sheng Dan Kuai Le! 圣诞快乐! That means Merry Christmas in Chinese! Wherever you are, and however you're celebrating, I wish you a wonderful and joyful day full of good food and good company. It's been an incredibly fun year in Shanghai, and wonderful to meet so many new readers, thank you all for making Life on Nanchang Lu what it is! I love to get your comments and emails, and great to hear how many of you are planning trips to Shanghai in 2011. I'm planning on a short travelling break myself, to Europe, and I look forward to sharing more of Life on Nanchang Lu with you from January 1st. Happy holidays!